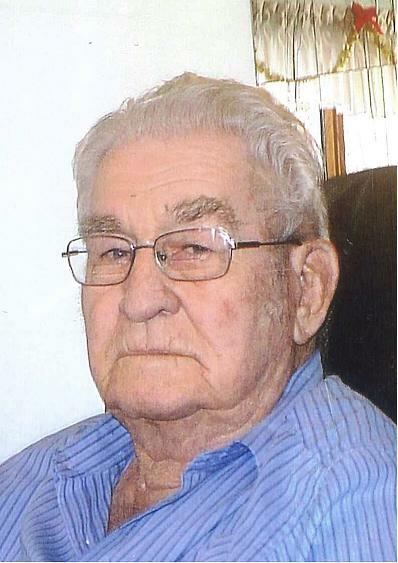 James "Jim" Donald Arts, late of Midale, SK passed away on Sunday, April 14, 2019 at the age of 90 years. Jim was predeceased by his parents Cornelius and Madge Arts; his sisters Marvel McGregor and Maxine Oesch; brothers-in-law, Douglas Penny and Robert Orsch. He leaves to mourn his loving wife of 66 years Eileen Arts; his children: David (Charlotte) Arts, Edmonton, AB, Debra (Ron) Padlesky, Saskatoon, SK, Kevin (Glenda) Arts, Weyburn, SK; 10 grandchildren: Kristy, Pamela and Jim Arts, Heather McDonald, Ryan (Amanda) and Tyler Padlesky, Brittany (Anthony) Arts-Thompson, Reid (Brooke), Tenille and Brooklyn Arts; 4 great grandchildren: Sienna and Madelyn Padlesky, Mackenzie and Paxton McDonald; his sister Valerie Penny; brother-in-law Keith McGregor; as well as numerous nieces, nephews, great nieces and great nephews. Jim was born on September 6, 1928 on the farm where he lived his entire life. He was the very definition of the strong silent type. He loved his family, his home and his wife's home cooking. He farmed and was a lineman for the telephone company. In the spring of 1953, Jim welded on the first oil rig in the area. He and his dad bought a truck and hauled water and oil. In 1954 he built a snowplow in the shop. he plowed snow, welded in the daytime and hauled water at night. In 1957 Jim started an oilfield construction company with his first backhoe and later a cat and trencher. He ditched in many miles of flowline and did oilfield repair work. In 1972 he gave up the oilfield and went back to full time farming. He cultivated his last field in the summer of 2018. He owned a small plane and spent many Sundays flying around the neighborhood. He also enjoyed camping and fishing with his family. He was a very talented wood turner making numerous bowls, vases, miniatures and also building furniture. He was a self taught musician, spending many evenings playing the organ. He had a green thumb, growing many varieties of fruit trees and exotic plants in his green house. His grandchildren always said if Papa couldn't fix something, nobody could. His motto was you can do anything if you just try. A Private Family Graveside Funeral Service for Jim will be held at Westphalia Cemetery, Midale, SK with Major Wilf Harbin officiating. A special thank-you to the staff of Mainprize Manor, Midale, SK, where he spent the final 5 months of his life. Their kindness and care was beyond compare. For family and friends so wishing, charitable donations in memory of Jim may be made to Mainprize Manor, 206 South Road, Midale, SK, S0C 1S0.